The Master VEG Program - the January series has been cancelled. Learn what's behind the buzz words connected to a plant-based lifestyle from the professionals - doctors, nutritionists, animal lawyers, activists, environmental scientists, philosophers, and more. Through guest speakers, film discussions, field trips, and more, Master Veg participants will sharpen their skills in advocating for a vegan lifestyle as a keystone to supporting a just, compassionate, and sustainable world. Over eight sessions, participants will build community through both interactive in-person sessions and in a private online group. Registration is $95 for Northwest VEG members, $120 for non members, and $65 for students. 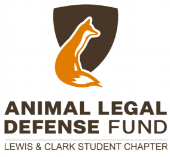 Lewis & Clark students register free (email jaclyn@nwveg.org for promo code). Scholarships are also available; email jaclyn@nwveg.org for more info. Complete Master VEG and receive a complementary one-year membership to Northwest VEG. Current members receive $25 off their next membership renewal. The Master VEG certification requires 16 hours of service to a related community organization. Northwest VEG will facilitate these mutually beneficial partnerships. A "Master VEG" certificate will be presented upon completion of training and volunteer work.